Nationwide support in Mainland UK and N.Ireland, for HP Designjet, Canon imagePROGRAF, Oce, Xerox, & Ricoh plotters, through our in-house network of 18 field based service engineers. Why not extend your standard warranty with our optional easy payment service program? You get to spread the cost of your warranty extension in convenient quarterly Direct Debit payments and have the peace of mind that in the event of failure that you are covered for the cost of your repair. 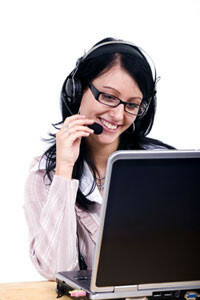 Immediate help through our dedicated call line help desk - avoiding most manufacturers' overseas call centres. Covers both parts and labour (not consumables) so no nasty surprises later on. We supply and service wide format plan printing, plotting and Graphic Art printers including the HP Designjet range, Canon image PROGRAF, Epson Stylus PRO, Xerox, Oce, Kip & Ricoh LED wide format printers. We hold extensive stocks of parts and our engineering teams carry many high mortality parts with them, and are directly trained by the manufacturers, so you can be assured of the quality of our after-sales care. Customers without contracts, can purchase service on a time and materials basis but Flexi Service generally offers the best value for money, with hotline telephone support and all parts included with in the contract. Our contracts are based on the manufacturers' warranty extension cost (plus some discount) so you can opt for three, four or five year plans dependent upon the make and model of equipment. Although five year plans may seem more expensive, in the long term they are cheaper, as at the end of year three, the manufacturers considerably up the cost of service- again making Flexi Service a more attractive option. We invest heavily within our service teams, so it should be no surprise that we are one of a surprisingly small number of providers of plan printers, plotters and copiers that have invested in becoming a Microsoft solution provider. You can be assured of the added value we bring to your business when installing and maintaining your equipment, removing the onus of your own IT support , or working hand in hand with them. Seamless network integration and problem solving ensures minimum of disruption to your business. As a provider of Autodesk software solutions, you can have the peace of mind that we can support you technically with your AutoCAD products and provide hardware that allows you to print your wide format output needs easily and economically – you can also pick up the phone and ask us for help during those moments of stress where you're unable to print.